Kevin Brown is a linebacker currently playing with the Ottawa REDBLACKS. Signed on Dec. 1, 2016. Suited up for eleven regular season games in 2017, contributing fifteen defensive tackles, seven special team tackles and one sack. 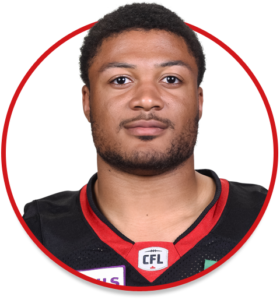 Had eight defensive tackles and one special teams tackles in the REDBLACKS only playoff game against the Saskatchewan Roughriders on Nov. 12, 2017. Brown went ten consecutive games in the 2017 with at least one recorded tackle (defensive and special teams). In the final four games of 2017, he recorded 18 defensive tackles, 3 special teams’ tackles and one sack.